It has been a draining week for the Whingers thanks to the Donmar Warehouse’s new improved priority booking which is no longer conducted by mail but on the telephone. 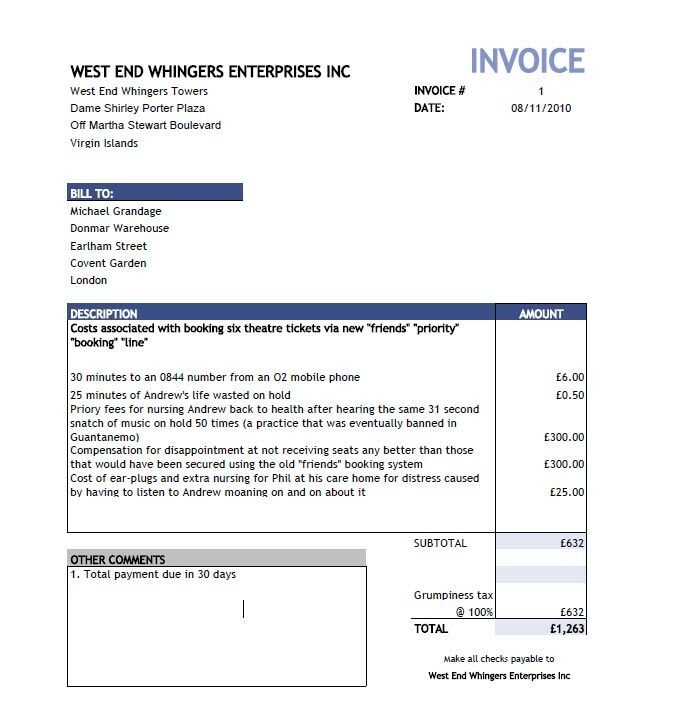 Since there wasn’t a booking fee under the previous system this hardly warrants the term “benefit” and anyway the cost of the 0844 telephone call to get the tickets was £6. This entry was posted on	Sunday 14 November 2010 at 1:35 pm	and is filed under West End Whingers. Is it beyond IT to allow web booking? I also took 90 minutes to complete my booking – a tad inconvenient when I was supposed to be working. At least that means I didn’t have to pay the phone bill but I’m surprised you didn’t mention how much the prices have gone up. Matinee seats used to be £20 – now they are £29.50 – £32.50. Glad I’m not the only one who hates the new system. I didn’t even get the joy of the hold music just the engaged tone so I couldn’t even get on with something else while I waited. It took me 50 mins to get through to the ‘queue’. I was sent a survey to fill in about the new system a few days later but I don’t hold out much hope of it going back to the civilised and stress free forms. Think the Donmar and National should offer a free brancy with every purchase for the stress they cause when trying to buy decent tickets. Can’t remember the last time I actually managed to get a £10 ticket at the National. GOD you make my bitching look so amateurish. If only that woman at Fela had gone after you instead of me! Not that you wouldn’t have left at the interval anyway. Still, it’s good to see someone take on this kind of universally affecting (for us theater loving types) fuckwittery with the panache it deserves. Glad to see you giving this disrespectful way of treating the public with the contempt it deserves. Hm, I didn’t renew my priority membership of the Donmar as I’ve been underwhelmed by their productions over the last year. ‘Red’ was vibrant, ‘Serenading Louie’ had a nice set and nothing else, ‘Late Middle Classes’ was diverting, ‘Polar Bears’ incomprehensible, ‘Prince of Homburg’ dull, and ‘Passion’ was a good production of a not very good musical. I’ve had more fun this year at the Almeida and I don’t have to put up with the ridiculous scramble for tickets (all online). Is it true that ticket agencies snaffle a lot of the Donmar’s tickets?